Great mole. I am a big mole fan myself. Oh my gosh, so cute! I love the rich colors, especially the umbrella. And holy cow, cute feet! 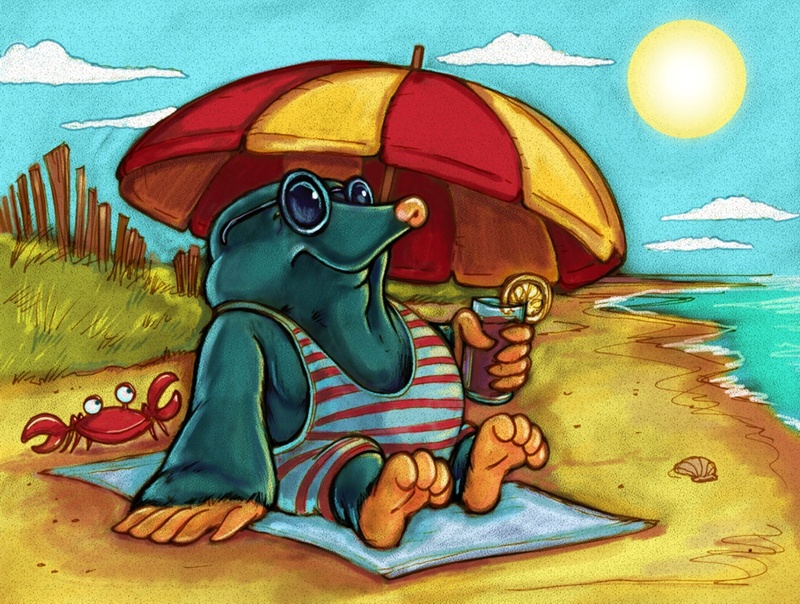 What a wonderful character you've created in Mole! Fabulous detail! Love the crab!